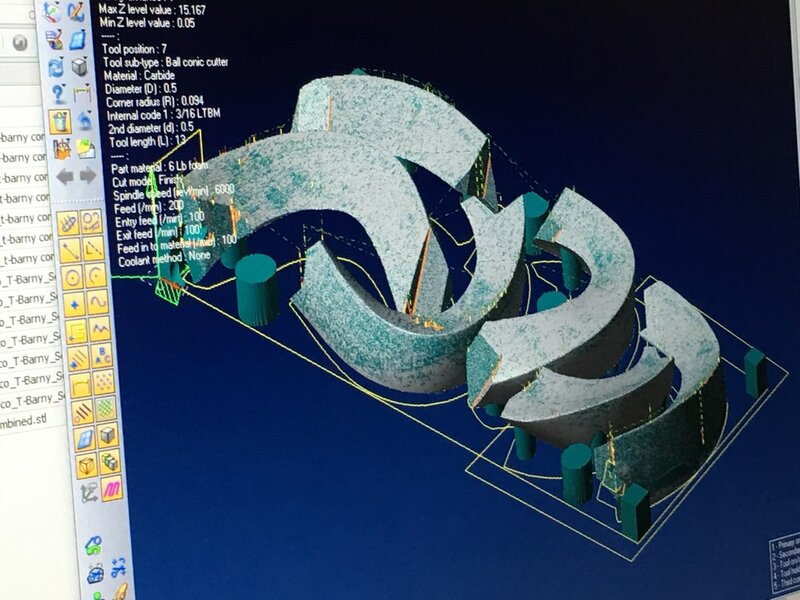 "I aspire to create sculpture that reflects a world filled with magic and wonder, celebrating the interrelated continuousness of all things through my Mobius-like works, with a single, traceable, looping edge. My works are produced through a method of direct carving, which entails having no preconceived notions or models from which to derive the final shape of my pieces. Instead, I allow the natural rhythms of the materials I use to guide me to a final product, rich with serene fluidity. 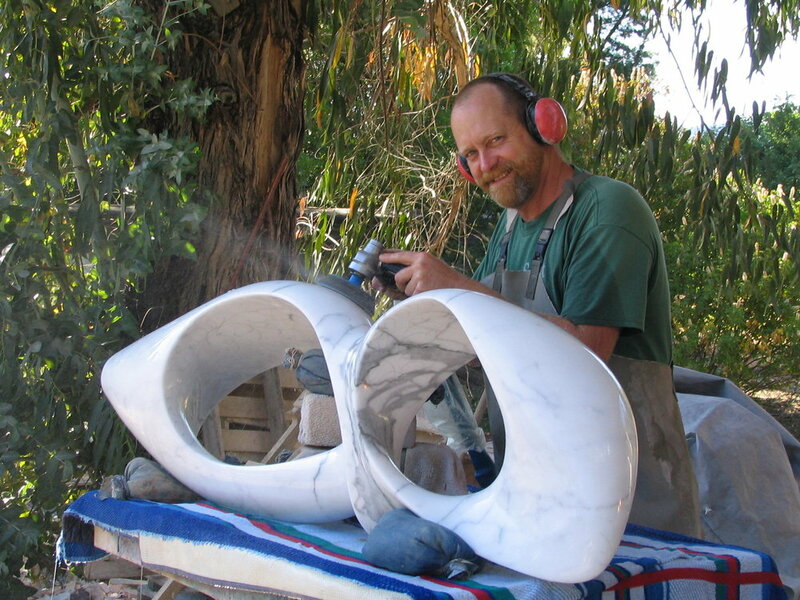 During my 37-year-career, I have produced more than 1000 works in steel, bronze, wood, and water, though my curvilinear, Mobius-inspired stone sculptures are my most celebrated." 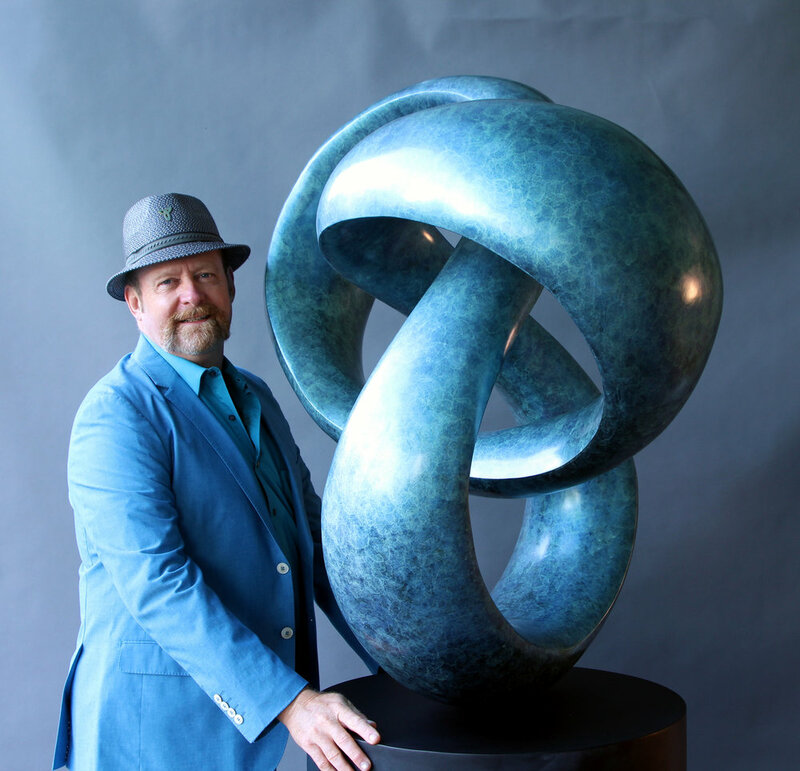 "My bronzes, unlike many, are created from molds of stone or wood sculptures I have carved. I believe that this maintains the artistic integrity of each edition; the original piece still exists, it is not a broken lump of clay or plastelline. At RISD, I had the chance to experiment with creating different colors of patina on my finished works. Sometimes, I would repeat the process many times on the same piece to find the right combination, and sometimes I hit the mark on the first try. My four specially formulated patinas are unique to T Barny editions, and as they are applied by hand, are also unique to each sculpture in an edition."